If you’re looking for the highest quality standard in wine accessories, a Ullo Wine Purifier should definitely be on your list. This premium brand in wine tools is well-known, and highly-rated amongst wine connoisseurs for its sleek and functional purifying devices. A Ullo Wine Purifier filters and removes sulfites from wine, allowing the blends natural flavors and aromas to really come through. There are various Ullo Wine Purifier options on the market, so how do you determine which is best for your needs? We’ve created this product editorial to help you on your way, highlighting the features of each individual Ullo product in-depth. We hope, that at the end of this editorial, you’ll have a better understanding of why you need a Ullo Wine Purifier in your life! 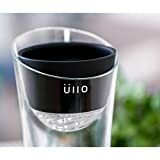 What is a Ullo Wine Purifier? A Ullo Wine Purifier is a filtration system that removes sulfites from wine. The innovative design is developed by a Chicago startup with a simple mission ‘to bring wine back to its natural state’. James Kornacki, founder, and CEO of Ullo, founded the brand because his aunt was sulfite-sensitive, and, therefore, couldn’t enjoy wine at family get-togethers. He wanted to create a filtration system that allowed everyone to enjoy wine in its natural state, without the artificial sulfites that were added as a preservative. Sulfites are artificial chemicals, added to wine blends to act as a preservative and prevent spoilage. Sulfites protect wines against oxidation and bacterial spoiling during shipping and storage, but actually, lose their worth once you’ve opened a bottle. 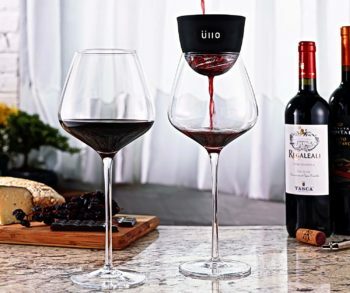 Once they’ve served their purpose, there is no need for them to remain in your glass when the wine is poured, which is where the Ullo Wine Purifier comes in. Do note though, that for most wine enthusiasts, sulfites are not an issue. As a common food preservative, they are highly regulated, meaning you don’t have to worry about them being harmful. However, some people can suffer from sulfite-sensitivity, which may lead to health issues when consuming larger amounts of this artificial chemical. How does a Ullo Purifier work? The magic of the Ullo is all about its state-of-the-art filter. The fancy technology, dubbed Selective Sulfite Capture Filtration, captures free sulfites in wine by a reaction called ‘covalent attachment’. We won’t bore you with all the scientific details, but take it from us: it’s wine chemistry that works. The covalent attachment means that the most reactive components of your wine, the sulfites, stick to the filter. All the other goodness of your vino simply flows through in your glass, carafe, or decanter. This Selective Sulfite Capture™ is what makes Ullo stand out from other filtration brands on the market. Do note that each Ullo Filter is good for one bottle of wine (750ml). After usage, sulfites will not be able to fully bind with the filter anymore, meaning that you can’t keep reusing the same filter over and over again. So, before opening a new bottle, also open and attach a new filter in your Ullo device, which is easily done in just a few simple steps. Filters are available to order separately, allowing you to keep the magic going for many sulfite-free drinking sessions to come. 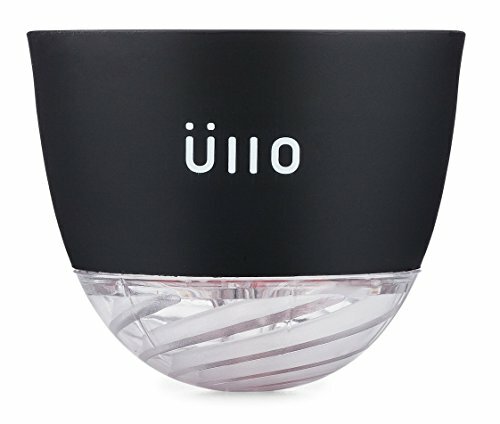 Does the Ullo Wine Purifier affect the taste of wine? To be frank: yes, it will most likely affect the taste of your wines. Sulfites can have a slightly bitter taste. So, when filtered, the overall flavor experience of your wine may be altered. Now, let’s get one thing straight: there is absolutely nothing wrong with sulfites in wine. Nor should you think that wines with sulfites are inferior. 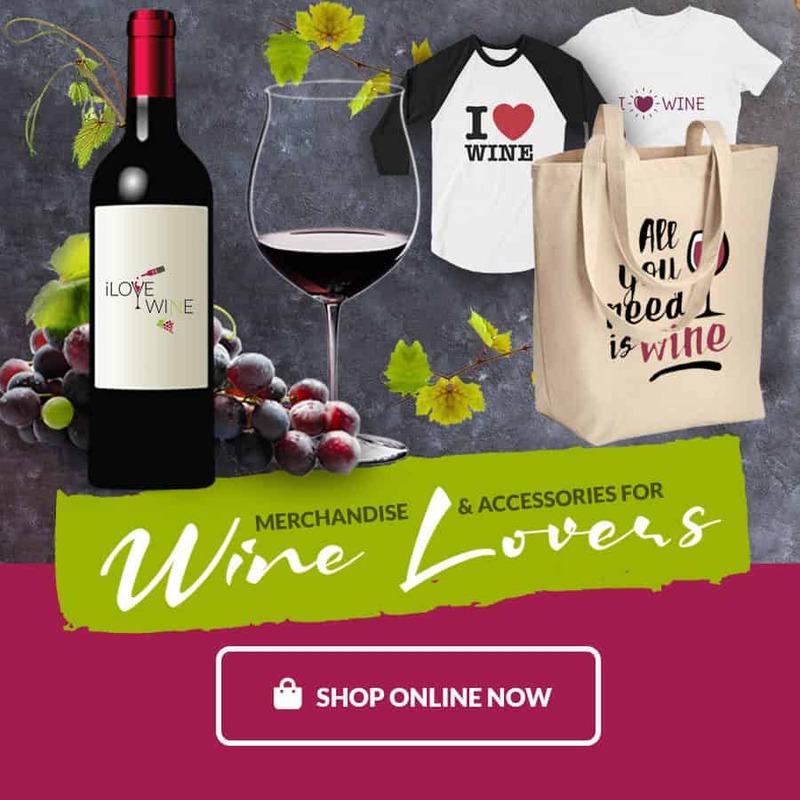 However, some wine enthusiast do prefer the taste of wines in their natural state, as, without sulfate, other aromas do tend to come through more. The ULLO Wine Purifier With Filters Set contains a Ullo Wine Purifier, 4 filters, and a travel bag. If you simply want the state-of-the-art purifying device, without any wine glass, carafe, or decanter accessories: this is the set for you. The Ullo Wine Purifier can be hand-held above a wine glass, or a container of your choice, whilst pouring your wine through. Its innovative technology will capture the sulfites in your blends, restricting them from passing through and restoring your wine to its ‘natural state’. The Ullo Wine Purifier does require you to remove and replace the inner filter after you’ve used it to pour a bottle of 750ml wine through. Fortunately, you’ll receive 4 filters with this device and are able to purchase them separately for endless purifying enjoyment. The brand has ensured the device is easy to disassemble, allowing for easy cleaning, and it’s even dishwasher-proof. 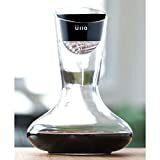 Made in the USA using food-grade materials, the Ullo Wine Purifier is a safe, reliable choice to remove sulfates from wines, and maybe your new favorite wine accessory if you like your wines as pure as possible. 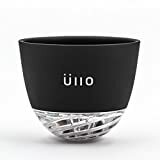 The Ullo Wine Purifier and Angstrom Wine Glasses Set includes 2 hand-blown crystal glasses, a Ullo Wine Purifier, a silicone display base, and 6 selective sulfite capture filters. The kit also comes with a soft velour travel-bag, keeping your purifier safe on the go. The 2 Angstrom wine glasses included in the set are specifically designed to amplify your wine’s flavors and aroma’s even further. After the Ullo Wine Purifier has worked its magic and revealed more layers of your vino, the long-stemmed glass enhances your tasting pleasure further. Each Angstrom glass in the set has an ultra-wide bowl and tapered profile, efficient at capturing wine’s complex aromas. Made of beautiful crystal, these quality glasses are the perfect choice to enjoy your filtered vino in style! 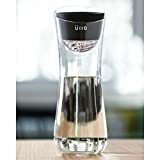 The Ullo Wine Purifier with Hand Blown Carafe Set is a premium choice in glassware and filtration. The set includes a beautiful, hand-blown carafe, a Ullo Wine Purifier, a silicone display base, and 6 selective sulfite capture filters. The kit also comes with a soft velour storage-bag, keeping your purifier safe whilst traveling. The carafe is suitable for both red and white wines. Making it a stylish choice to enjoy an evening of wine with your vino-loving friends. The custom carafe design holds a Ullo Wine Purifier steadily in place. But you can also choose to remove the purifier and use the device as a hand-held. 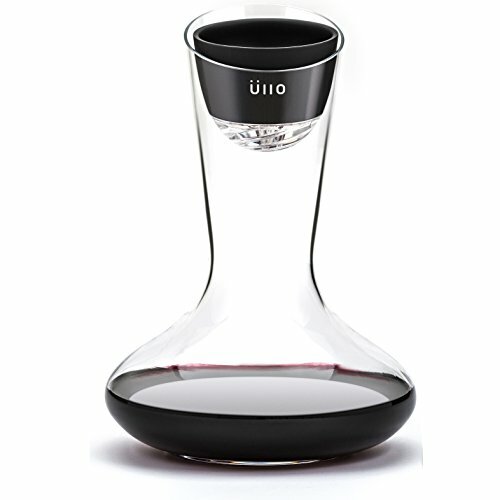 The Ullo Wine Purifier with Hand Blown Decanter Set is a luxurious indulgence for lovers of reds. The set includes chic hand-blown decanter, a Ullo Wine Purifier, a velvet travel-pouch for taking your purifier accessory on the road, a silicone display base, and 6 selective sulfite capture filters. The included Ullo Decanter is designed to effortlessly amplify the flavor and enjoyment of your red wines. Its silhouette has perfectly balanced proportions for optimal exposure to air, letting your wines ‘breathe’ in style. The decanter’s ergonomic shape also allows for easy pouring without spillage. Made of quality, lead-free glass, each design is hand-blown, adding an artisanal appeal to this already sophisticated set. 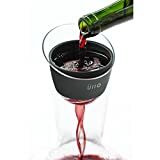 The neck of the decanter is a perfect fit with the Ullo Wine Purifier device, though you can also elect to remove the filer to use the decanter on its own. Versatile, functional, and beautiful: what is not to like? 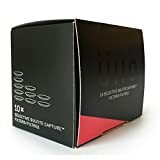 The Ullo Sulfite Capture Filter 10-Pack contains 10 filters, needed to let the purification system work its magic. Each filter purifies 1 standard bottle of wine (750ml). After you’ve finished the bottle, simply remove and replace the filter of your Ullo Purifier. Voila: you’re ready to pour once more. According to Ullo: ‘Sulfites bind irreversibly to the filter and therefore once a filter becomes saturated with sulfites it can no longer bind additional sulfites from wine’. Or, to put simply, the filter stops removing sulfates. Which is kind of the whole point of using it in the first place, right? And that is exactly why, if you’re looking to indulge yourself with a Ullo purifier, you should also stock up on some additional filters. The filters are also available in a 6-pack and come individually packaged in sachets to ensure maximum longevity and safe shipment. A Ullo Wine Purifier can be a great investment if you either have sulfate-sensitivity, or simple like your wines pure and natural. A bit of an indulgence, the innovative device does come with a bit of a price-tag. Plus, as you’ll need to replace the filters with each bottle, the costs can quickly add up. We would therefore not recommend this design for ALL wine drinkers, as it’s more optional than essential. That said, it is one of the most innovative, and highly-rated purifiers on the market. So if you are looking for a way to filter the sulfites from wine: this may be your top choice. Plus, with the fancy wine accessories packs, such as the decanter or carafe set, it’s hard to resist its futuristic appeal and aesthetics. 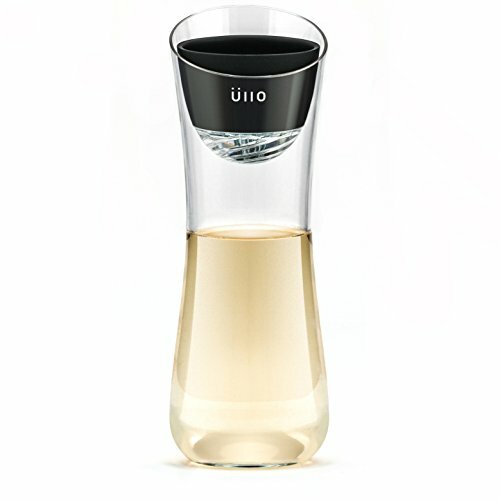 If you want it pure AND love contemporary design, the Ullo Wine Purifier is pretty much as good as it gets!